Take care of running Matomo yourself by installing it on your own server. 1. Do you want to Cloud host or host On-Premise? Wondering if Matomo On-Premise is right for you? There are two ways you can get Matomo Analytics. Either you self-host it yourself on-premises, or you can use our cloud hosting service. Both options give you full data ownership and respect your privacy. Learn more about the differences of Cloud hosting or hosting On-Premise. 2. Do you know the requirements to host Matomo On-Premise? On-Premise is perfect for data sensitive individuals and businesses. With Matomo On-Premise, there is no cost to download the application, but you will need a server. You’ll also need to update Matomo and your server regularly to keep it fast and secure. Need help? The Matomo team provides free help resources and paid support. On-Premise gives you full control to customise or extend Matomo Analytics without any restrictions. However, the process doesn’t end with the click of a button as Matomo On-Premise does require technical knowledge about hosting applications on your own servers. For businesses this is often taken care of by an IT department. If convenience and technical expertise is a factor, why not choose the cloud? With the cloud hosted option we can smoothly take over the setup, monitoring and maintenance for you. • The technical knowledge to host on your own server. Read more about the technical requirements. • Updating regularly to avoid security risks. Read tips that will help keep your Matomo secure. Ready to go for free? 3. Does your business need Enterprise Support? 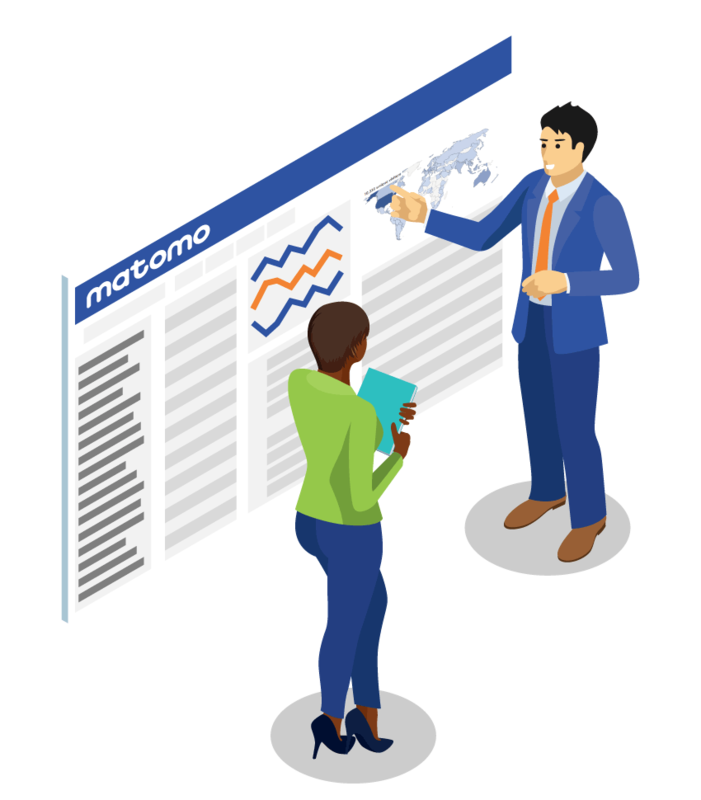 The Matomo experts will work closely with your team to help you set up, configure and support your Matomo install. Learn more about Matomo On-Premise Enterprise Support.